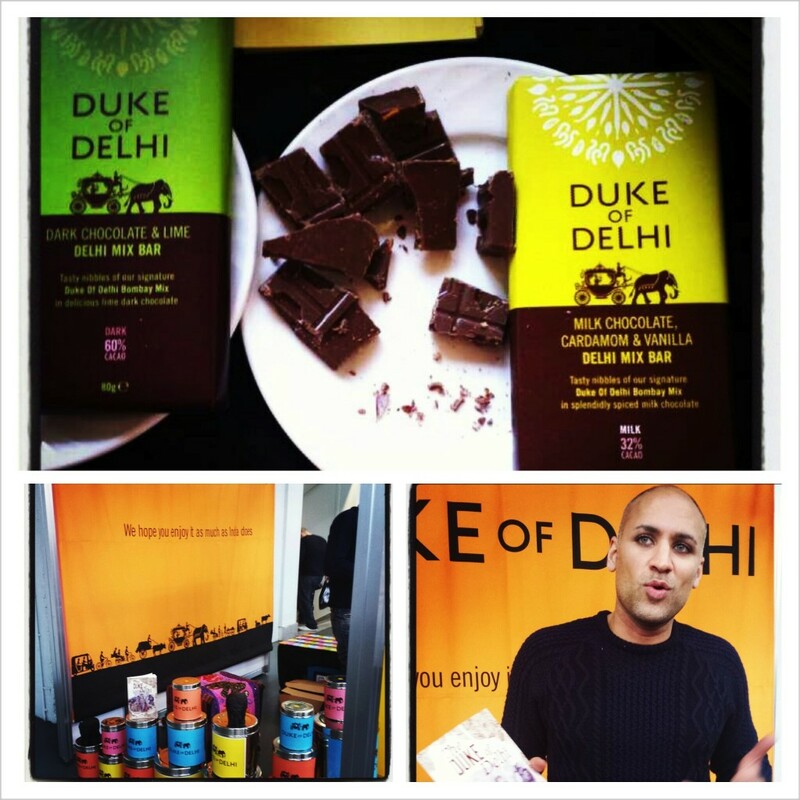 I had a great time sampling my way through the various flavours being exhibited at this event but my top food find is definitely the Duke of Delhi! The Duke of Delhi entered the market with biscuits and snack mixes inspired by Indian street food now stocked by the famous Fortnum & Mason store. The new range of chocolates, launched at the BBC Good Food Show, are simply divine! My favourite was the Milk Chocolate, Cardamom and Vanilla. Other flavours included Dark Chocolate and Lime, Milk Chocolate & Indian Cinnamon and Dark Chocolate & Toasted Coconut. The chocolates will be available to buy on their website at www.dukeofdelhi.com in a few days. Clever name, attractive packaging and brilliant taste – highly recommended! WineTubeMap developed by wine consultant Nikki Welch making it a bit easier to navigate the wonderful world of wine. 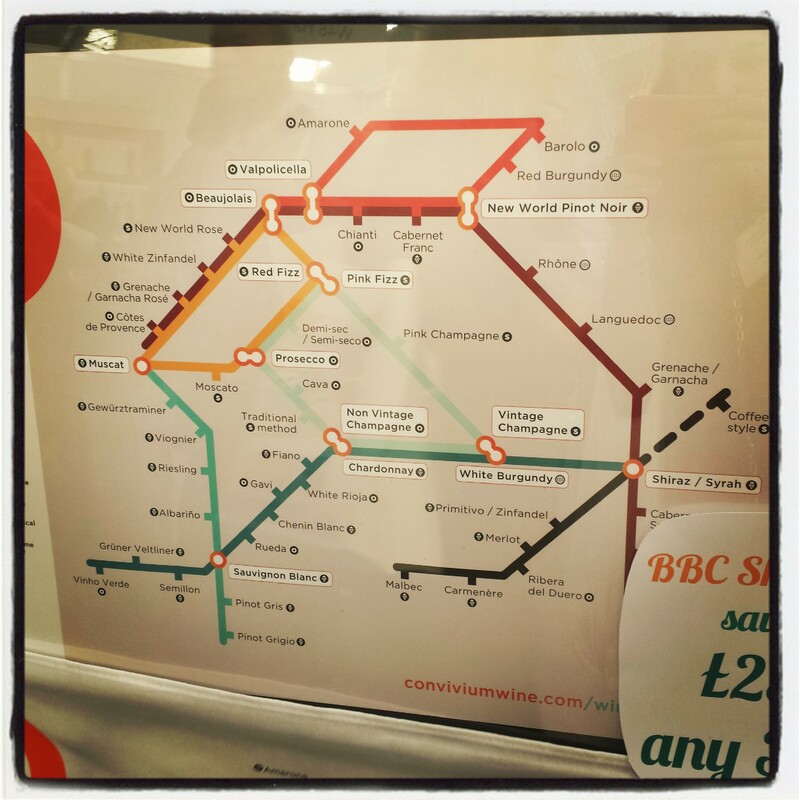 Check out www.conviviumwine.com to learn more about WineTubeMap tastings and events in the UK! 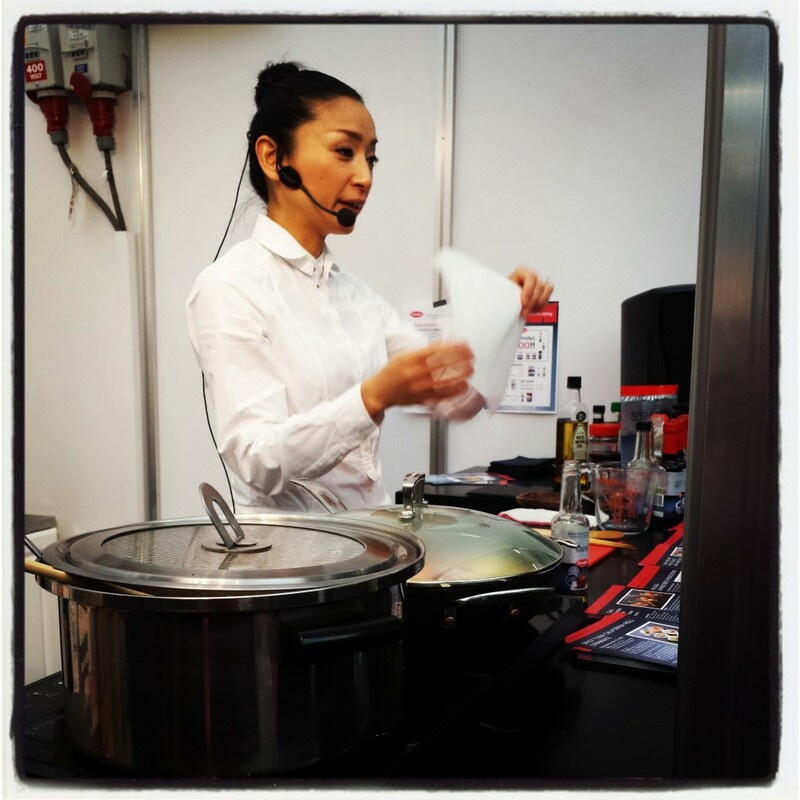 Live demonstration by Atsuko’s Kitchen – a home-style Japanese cooking school in Shoreditch. 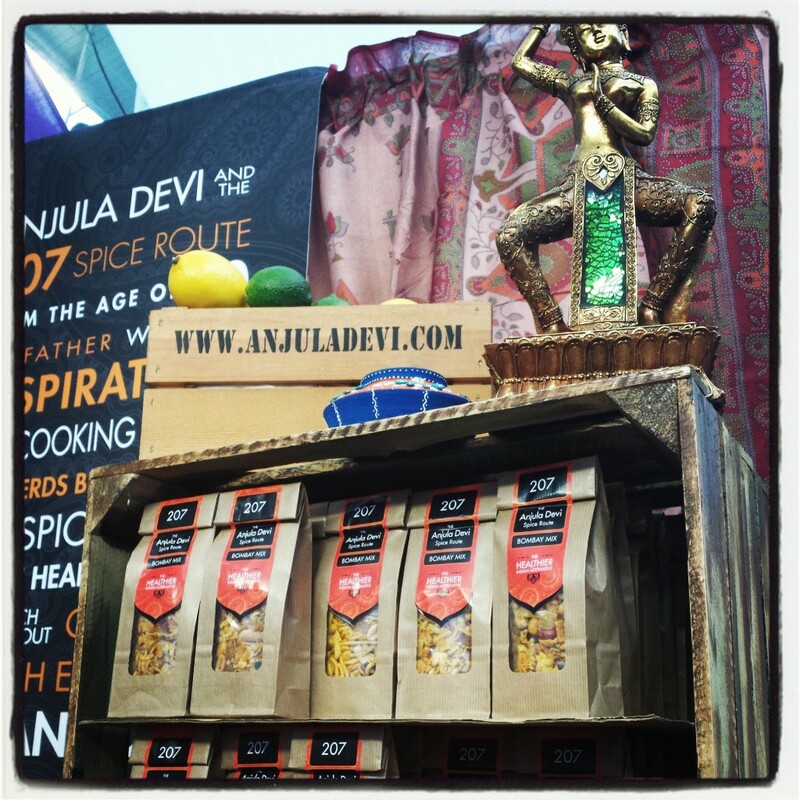 Tasting delicious curries & healthy baked Bombay Mix by Anjula Devi – definitely one of the most popular stands at the show! 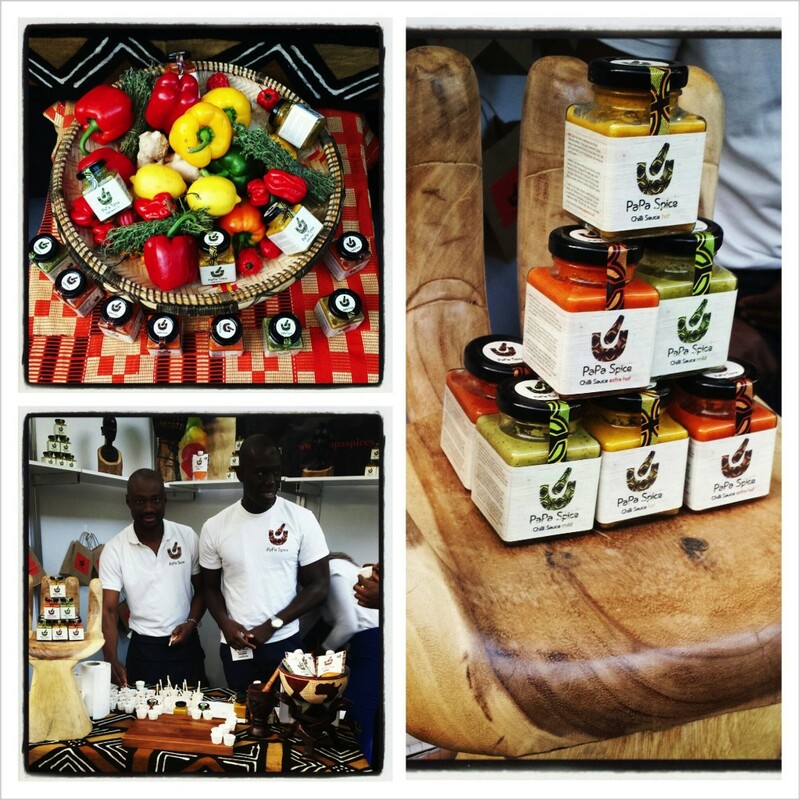 Sampling spicy sauces and marinades by Papa Spice, created by two Gambian brothers to honour their Afro-Brit history and fusion cuisine. 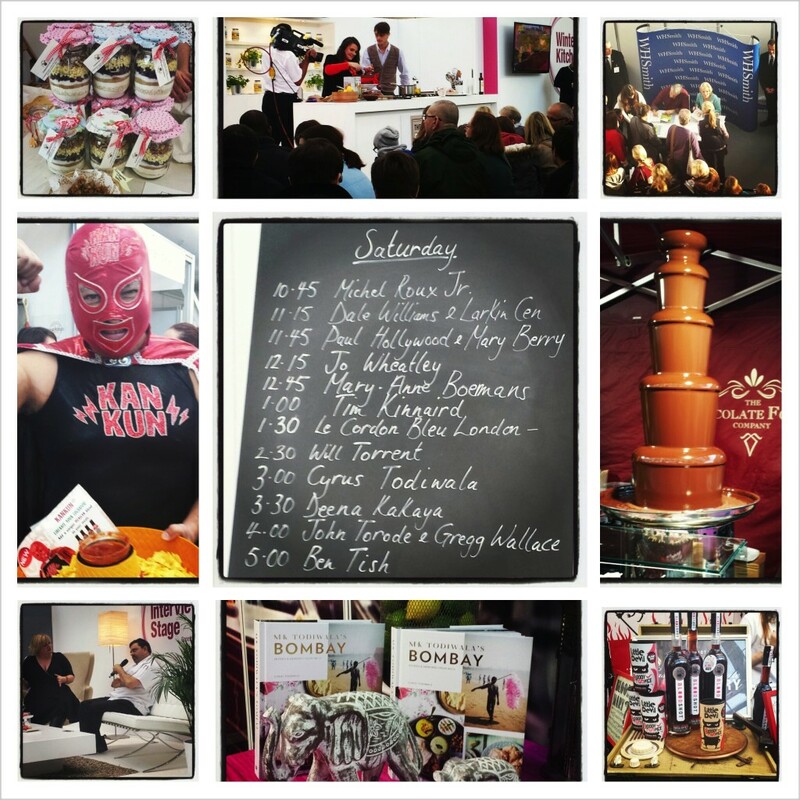 The BBC Good Food Show was an excellent way to learn about the newest foods in the market. 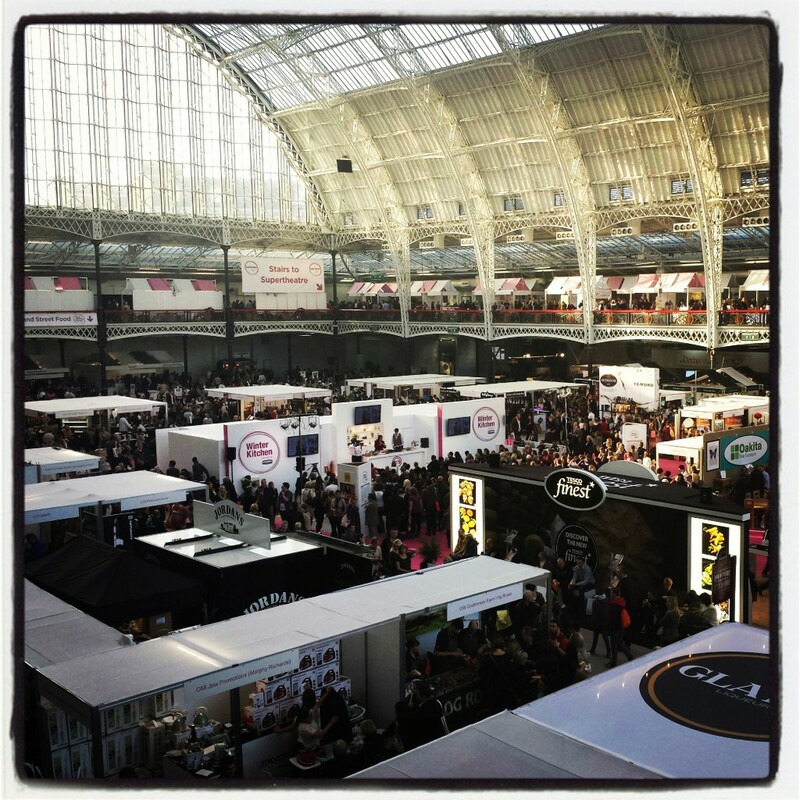 I met some of the most creative food producers, chefs, bakers and writers in the UK and returned with bags full of goodies to munch on over the next few days.